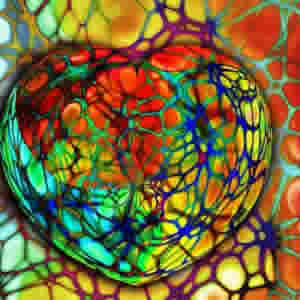 FAU researchers Dr. David Zebrowski and Prof. Dr. Felix B. Engel from the Department of Nephropathology at Universitätsklinikum Erlangen's Institute of Pathology and their colleagues have discovered an endogenous process that controls reproduction of cardiac muscle cells and could potentially lead to the development of new treatment options for heart attacks and cancer. The details of the research are published in eLife. Most cardiac muscle cells' ability to reproduce disappears shortly after birth. The research was conducted to investigate how this happens and whether it was possible to restore this ability in order to regenerate the heart. Experiments have already shown that when the cell's chromosome is not intact, that cell cannot reproduce. But in this particular study, the researchers were surprised to find that the centrosome in the cardiac muscle cells of zebrafish and amphibians remains intact into adulthood. This difference in the cardiac muscle cells of mammals and zebrafish and amphibians could possibly explain why the human heart cannot regenerate. This discovery also opens up several opportunities for future research. For example, the findings provide a starting point for stimulating the reproduction of cardiac muscle cells to regenerate the heart; it also provides the opportunity to find cardiac muscle cells that may have retained their ability to reproduce; and finally researchers can now also try to develop methods that could inhibit the uncontrolled growth of cancer cells.